One of my best friends in all the world had a birthday this week. And not just any birthday…the big 30!!!! I left her 6 months ago when we moved to Texas, and I was SO sad that I was going to miss this milestone. I knew I wanted to send her something to really celebrate this particular birthday, and let her know how special she is to me. 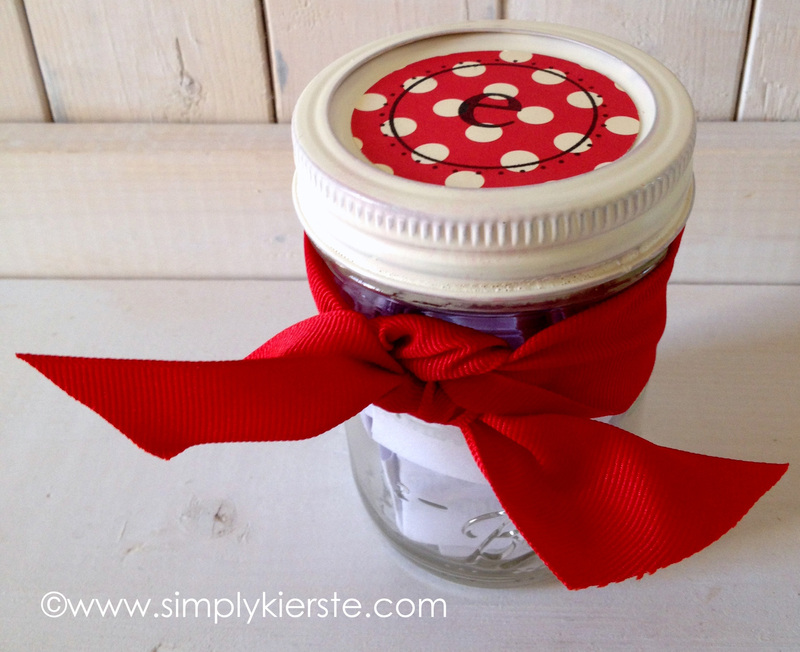 So…I made her a birthday jar! It’s just a simple pint-size mason jar, but it’s what’s inside that really counts. Tucked away inside the jar are 30 things (one for each year) about her that I love—special memories, characteristics, qualities, talents, and all those things that make a friendship what they are. I thought it was the perfect way to celebrate 30 years of one of the most fabulous people I know!! 1. Remove the lid and ring from the jar, and spray paint them. Let dry completely. 2. Cut a circle from your scrapbook paper to fit the top of the jar. I used a 2 inch circle punch, but you could also trace a glass if need be. I used a cute monogram stamp on the top to embellish. You could also print your monogram or text on the scrapbook paper first, then punch or cut around it. Use double stick tape to adhere it to the top of the lid. 3. In Word, or other similar program, type out the number of items you need. I didn’t number them, but I typed each individual thought in a fun font (My Own Topher) with brackets around it…the cute factor, you know. ☺ I spaced them enough apart so I would have room to cut them once they were printed. Again, I related special memories, experiences, thoughts, things I admired and loved about her–you can include anything that is special and meaningful to you and your relationship. Print it out, then cut them into strips with a paper trimmer or scissors. 4. Fold your strips down–I folded them in half, then in half again, and one more time–and tuck them in the jar. 5. 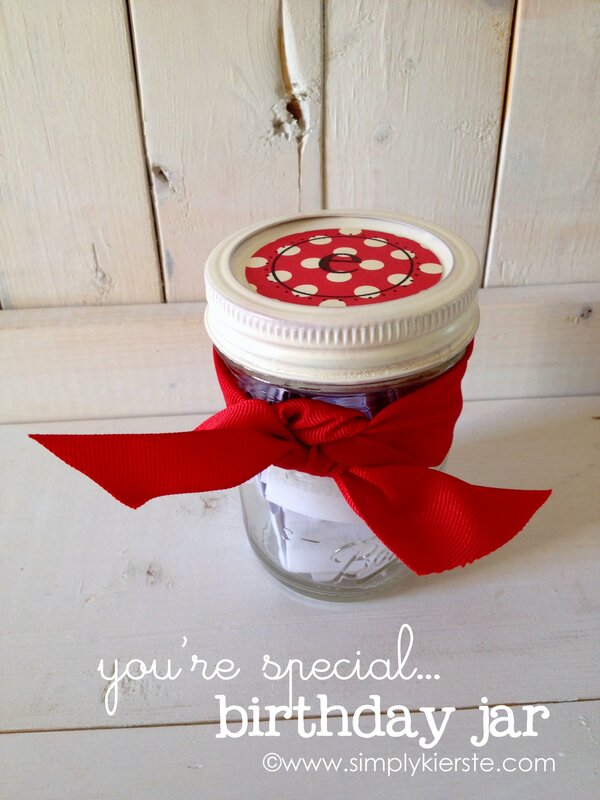 Tie a ribbon around the outside of your jar! I was so excited to give it to her…it came from my heart! So, to Miss E… I ♥ you! Happy Birthday!!! This is so perfect! I have a friend who’ll be 50 in April. She’d love something so very sentimental like this. I better get started, I have a LOT of writings and remembering to do. love love love it! you made my day so wonderful! i sure am luck to have just a sweet and thoughtful bestie! love and miss you! this is a really sweet idea. my best friend lives on the other side of the country so i love this idea for her. thanks! This is sweet! I have to remember that until autumn, when all my friends have birthday! Thanks! Great idea! Better do it while you and your frends are young… Not only woud it take a loooooong time to write 59 things, I’m not sure I can remember that many! Luckily I could just make some up because they are all just like me! 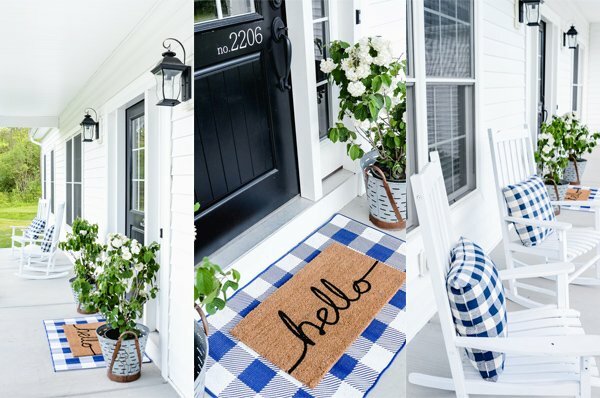 Lol… Seriously cute ideas on your happy blog!